With the 2018 college football season over, it’s time for some quick recaps of where various teams are in 2019, starting with the quarterback situation of conference champions Ohio State. Unlike Ohio State’s quarterback situation last year, there won’t be too many question marks before the season begins. Last season, there was a nominal race between Tate Martell and Dwayne Haskins Jr., but the race could be described as nominal for a reason. Haskins was the favorite coming into the season after serving as J.T. Barrett’s backup, and took the starting job easily once spring football proved who was the better player. Martell is now with the Miami Hurricanes, jumping from the Big Ten to the ACC despite the player that had started in front of him being gone going into the 2019 season. 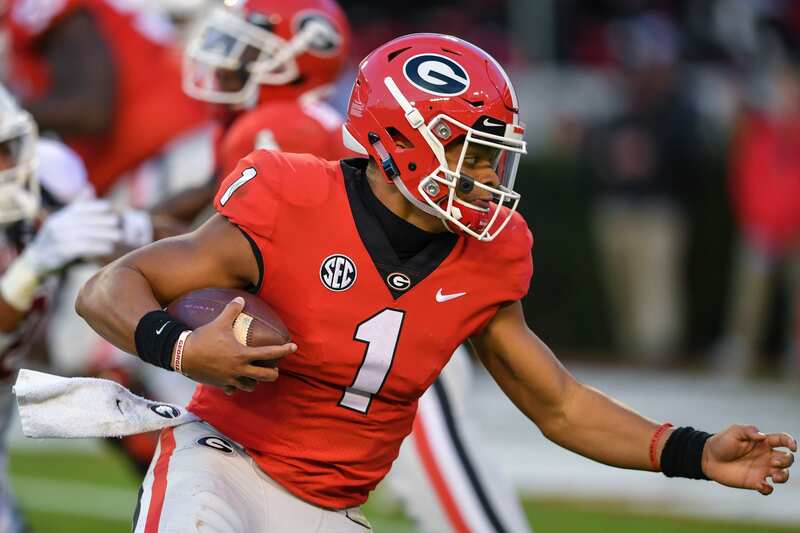 That doesn’t mean that the Buckeyes are without a quarterback for 2019 and it does make things a lot more interesting when you consider the fact that Georgia transfer Justin Fields has been granted immediate eligibility by the NCAA. Fields lost out in the starting quarterback battle long ago to Jake Fromm, but that doesn’t say as much about Fields being bad as it does about Fromm being one of the top NFL draft prospects in next year’s class of quarterbacks. In fact, there’s some oddmakers who think that Fields can even compete for the Heisman Trophy. Fields was listed by BetOnline as having 12/1 odds to win the trophy. Fields was the top ranked recruit in his class according to ESPN and 247Sports, but only had 39 passing attempts during his 2018 season, when he was a freshman. Despite the small amount of throws, Fields still made appearances in 12 games and looked good, throwing four touchdowns during that time and completing 69.2% of his passes. Is Fields going to be as good as Dwayne Haskins was? That’s a very tall task, as Haskins is currently the top quarterback prospect in the NFL Draft, and Fields is only a sophomore. But Ohio State is perhaps getting more of a sure thing than they were with Haskins, who entered the season as one of the team’s question marks. Things turned out well for Haskins and Ohio State, but the narrative at the end of the season was very different from the one at the start of it. Fields has a bit more hype entering the season but it remains to be seen whether or not that hype means that Fields is more of a sure thing than the player that came before him. It is sure, though, that things are a lot more clear cut for Ohio State going into this season than they were before.